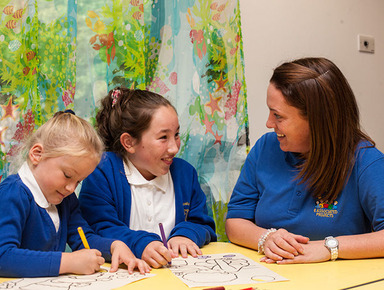 The Bee Hive Club provides quality and affordable ‘wrap around care’ and breakfast facilities between the hours of 7.45am – 9.00am and 3.15pm – 6.00pm. The provision also has access to fixed adventure play equipment within Dunston Hill Community Primary School. The children will be escorted via mini-bus to school for 8.50 and collected at 3.15 and taken to the Bee Hive Club from which parents will collect their children.